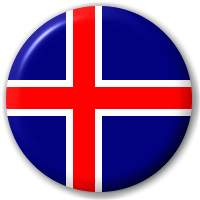 Rent a car with Route 1 Car Rental as soon as you come to Iceland. An airport shuttle is running about every 15min and stops right in front of our office at Arnarvellir 4, 235 Keflavik Airport. When you get to the arrival hall of the airport, please find your find towards the exit to the ''Car Rental Shuttle Bus''. The shuttle will then take you to our rental station that is about 5-7min away. Easy, convenient and a good start to your journey!